As Chief Technology Officer, Niels Meersschaert leads all aspects of Qualia’s technology strategy, research and product development as well as external technology partnerships. He also plays a key leadership role in the overall strategy and direction of the company. He is an accomplished leader in the digital technology industry with more than 20 years' experience. When I was 8, I started coding on an Apple II – at the time, most people didn’t have a computer, let alone code on one. When I started university, I actually went into aeronautical engineering before transitioning into the technical end of TV. I worked in advertising there before segueing into digital. I see technology and software as a tool for solving a problem for people. There are those in our field that are excited by a solution because it is technically hard, yet it has no practical value. True innovation has to be both unique and useful. The challenge is in seeing the opportunity and then using tech to produce a solution. Tell us about Qualia. What inspired the idea and how does it stand out from other tech companies? Back in 2012, I was with Magnetic, a search retargeting company. Magnetic’s value prop was rooted in the fact that search was one of the earliest demonstrative signals of what someone is looking for, interested in and/or has intent toward. But over time as the Internet gained a new generation of applications – search was no longer the only mechanism to express a consumer’s intent. I also noticed that search wasn’t always about seeking new information. It had become so fast, people’s behavior changed and many used it as a bookmark for information recall. Additionally search lacked context. We didn’t know why someone searched, only what they put in. Because search results aid the person making the inquiries, often the search entered was to get the results they wanted, rather than expressing what they really sought. Users had to game the system to get what they wanted. This limited the utility of that signal for intent. I met Kathy that same year when the company was known as LocalResponse – and it was principled in helping marketers respond to consumer intent expressed across social media. Kathy & I had similar points of view on the inefficiencies of traditional targeting methods, and we bonded over the fact that the most commonplace targeting capabilities in digital advertising were, and still are, a low fidelity approximation. We’ve been through a few generations, some with powerful sounding names like behavioral, but what they lacked was meaning for the consumer. I was inspired to join Kathy on her quest to help marketers find the best way to target consumers and discover new audiences for their brand – based on consumers’ ever-evolving, real-time expressions of intent. We studied the changes in human behavior as consumers embraced apps, ecommerce and social networking sites, and saw an explosion of “over-sharing” as people were expressing themselves (wants, needs, desires, frustrations and problems) publicly for the first time. The fact that people were broadcasting their whereabouts and what they wanted to accomplish was astounding to us! The technologist in me wanted to jump in and help marketers respond via technology, because the industry lacked a solution. This became the catalyst for pivoting the company, and moving forward as a pioneer in creating the category of intent targeting. What technological partnerships/innovations have you implemented that have attributed to Qualia's success? Our Intent QualityTM Decision Engine (“IQ”) is a complete re-imagining of our original technology and shares very little DNA with our original technology platform. We took a “clean room” approach, and started from scratch with all new code, new requirements and new guiding principles for building a new and improved tech stack. The end result: our engineers created a way for marketers to leverage these intent signals to discover new audiences that could not be reached via traditional methods of targeting. Our technology empowers marketers with the ability to reach consumers when they are most open to influence. IQ decodes intent across screens and digital journeys to determine what each consumer is in market for; it collects and analyzes millions of unique signals to create a composite of what an individual consumer’s actions are telling us; and then selects the consumers with the strongest intent quality and serves a marketer’s campaign across screens and devices. Most ad tech is binary in its approach. You go to a site once and you are “in segment.” Two elements of IQ are most groundbreaking: (1) IQ takes each signal and evaluates the quality of each. (2) IQ combines multiple signals, not in a Boolean nature like classic segments, but understanding the path of the individual. The sequence and temporal dispersion makes a big impact on the value behind each signal and the combination of them. By looking at the combination, our technology determines of someone is a solid prospect and the most qualified potential consumer to receive an ad. Every marketer is preoccupied with ad fraud and viewability, and the trade press tries to feed the frenzy. It’s great that the conversation is happening, but we need to look deeper. One of my biggest gripes with our industry is that its lost sight of why it exists: advertising is meant to influence. We call them impressions, but it’d be more accurate to describe them as ad deliveries, while viewable ads are impressions. More often then not, vendors in our space target their audiences with un-viewable ads. And if an ad isn’t viewable, it isn’t clickable — or at least it shouldn’t be — but more importantly, it can’t influence anyone if it’s not seen. Measurement is another hot topic: the CTR is meaningless because it’s too easy to game or manipulate via bots. So, some of the industry gets excited over CPA. But, the last view attribution model there suffers the same manipulation issues as CTR. Most CPA targeting simply identifies the site that a consumer (measured by a cookie) will go to just before conversion and buys cheap inventory there (often not viewable). The ad delivered didn’t influence the consumer to convert. Yet, the claim is that it had a low CPA. It’s the equivalent of the cashier in a super market saying you should buy the thing already in your cart and then claiming credit for when you buy it. Consumers declare. We deliver. It’s our tagline and a fantastic way to describe what motivates us as we create value for our clients. What is your greatest success as CTO of Qualia? Most difficult moment-how did you overcome and what did you learn? IQ stands out as the greatest success and most difficult challenge. We literally had to re-imagine and reinvent a new way of selecting targetable audiences and do it in a way that addresses a lot of the downsides of the industry, minimizing bots and maximizing the value of why our technology prioritizes the selection of certain consumers. Creating disruptive technology is hard – and very few attempt it, let alone master it. How do behaviors interact? What happens to the inability of observing all actions of consumers? How do you deal with the increase of devices and platforms such as Safari, which are still highly desirable but not targetable in the classic manner? In difficulty lies opportunity, and I’m so proud of my team who took the challenge head on. Your advice to an aspiring techie? Question everything! Just because you’ve done it certain ways in the past, there’s always a new approach. Don’t presume that what you’ve done in the past is perfect, so always be improving, learning and moving it forward. And, don’t take too long! Speed to market is everything – I’d rather have one amazing feature than 30 crappy ones. Away from technology, and spending quality time in nature. Stepping away allows me to gain perspective. And as people, we should understand our own humanity and the world in which we live. Anything we do in technology is intended to benefit humankind: you have to understand who you’re building for in order to build it in the best way possible. Most frequented browsers on website? That’s tough to riff off here, because they’re pre-populated via RSS feeds. Ones that come quickly to mind include: Ars Technica, various industry rags, and ADVRider.com. Steve Jobs. He was adamant about making the best product for the consumer, and always pushing technology to make the human experience better. Imagine the impossible and will it into existence. Lots of motorcycling – adventure / dirt riding on my BMW GS. Physically and mentally demanding, but also a great opportunity to clear your head. I’ve had some of my best technical ideas while on the bike. The press surrounding Facebook Atlas. In the same vein as IQ, Facebook Atlas has a lot of reach across multiple devices, which makes it easier to understand a great deal about an individual. Where we’re different, is that people are multi-faceted and do a ton of things outside of Facebook. What's next for Qualia's tech front? More data. We’re investing in the technology and the data partnerships we strike for unique and emerging data signals that help crystalize who the ideal consumer is for a marketer’s campaign. It would be naïve to think that Twitter is the end-all-be-all. There will always be new emerging platforms that consumers are drawn to as a means of expressing themselves, and we’re here to lead the next generation of intent targeting. Qualia, an Intent targeting pioneer, empowers marketers with the ability to respond to real-time expressions of consumer intent. Our Intent QualityTM Decision Engine creates a composite of multiple intent signals from a consumer and overlays our targeting capabilities to reach a marketer’s most qualified audience. Our technology then targets that consumer across any or all of their devices (mobile, tablet, laptop, desktop) and platforms (web, app) with any type of IAB-standard creative. Qualia’s proprietary Return on Intent Analytics Suite measures campaign success “beyond the click” – helping marketers understand how they have influenced a consumer’s journey toward purchase. 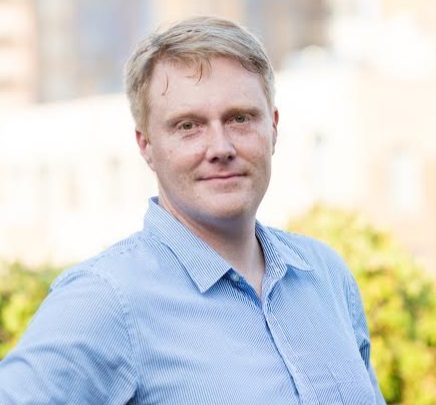 Neil Ctd: Before joining Qualia, Niels was the founding employee and Principal Architect at Magnetic, one of the early innovators in search retargeting. At Magnetic, he pioneered many cross-company initiatives that drove innovative new products and improved user experiences for consumers and advertising partners. He also contributed to the growth of the company from 2 to 40 employees and to $20 million in revenue. Prior to Magnetic, Niels held various senior technologist roles with Gucci, Business Week, and PixelJump. Niels holds a B.S. in Television & Film Production from Hofstra University and resides in Brooklyn with his wife.